UK: The Energy Technology Institure (ETI), a UK-government-backed consortium of companies, including BP and Rolls-Royce, has chosen marine design firm Glosten Associates to develop a floating platform in UK waters by as early as 2015. The ETI plans to review the plan in about a year's time, when it will decide whether to proceed with an 8-to-10 year demonstration project. 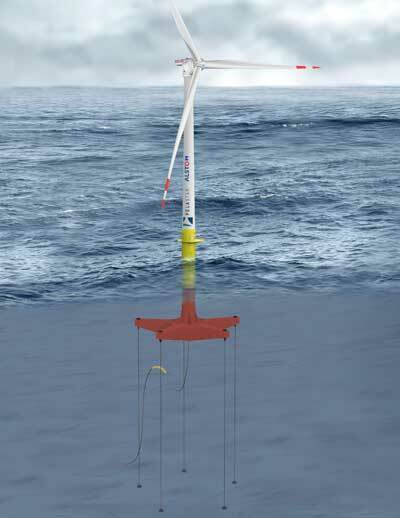 If it goes ahead it will feature a single PelaStar floating platform mounted with an Alstom 6MW Haliade turbine. Glosten said the PelaStar platform can be constructed at the port. It is designed to remain stabilised in the offshore conditions by vertical-load anchors embedded in the sea floor and tensioned mooring tendons. Shipbuilder Harland & Wolff, will build the platform in Belfast while Wave Hub will manage installation of the platform and turbine in waters off Cornwall, southern England. In 2011, Glosten received a grant from the US Department of Energy to develop the design. The ETI has earmarked £25 million (EUR 29 million) for a floating offshore wind demonstration project, including £4 million for the design phase. The remaining £21 million will go towards construction, installation and operation. 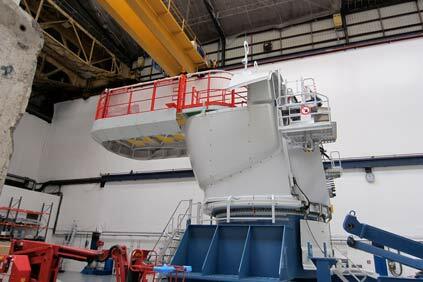 The floating platform and turbine could be in place off Cornwall as early as 2015. Commenting on Glosten’s success in winning ETI funds to develop its PelaStar technology, director Bill Hurley said: "We applaud the ETI for taking this bold, confident step to accelerate the development of floating offshore wind. Deep-water wind resources promise the potential of lower costs for energy and are waiting to be captured". ETI announced last year it was looking at using the Wave Hub site to develop a floating wind turbine platform. At the time, it said it wanted to design the platform and install it in a location between 60-100-metres deep and wind speeds of 10-metres-per-second. Wave Hub consists of four test berths that are connected to the grid via the ocean floor (see picture).